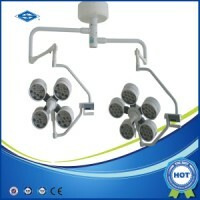 Cold light Operating lamp :adopting LED as light source,without temperature rising. 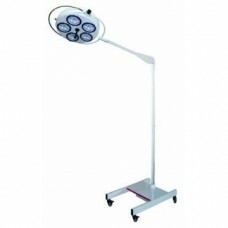 ★　Excellent daylight quality and CRI meet the illumination needs of the doctors. ★　Excellent lighting effect:unique optical system,homogenous light spot,high-definition. 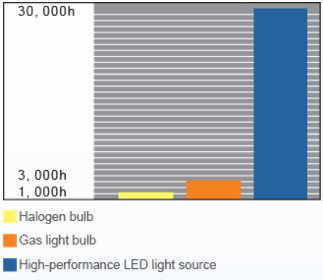 ★　Long service life:LED life is up to 30,000 hours. ★　Energy saving and environment-friendly. 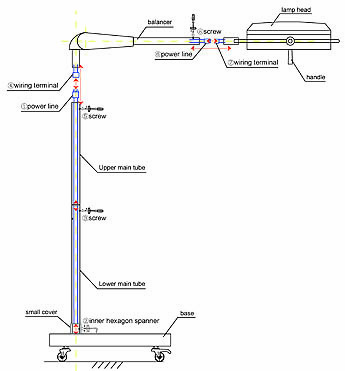 ★　Flexible and stable balance arm suspension system contents various requirement on height and angle. LED light source life of up to 30,000 hours or more,with an average life of an ordinary light shadowless lamp halogen 30 times,and each LED can be individually replaced, to ensure maximum use of economy.